I struggle with wanting to do everything, all at once, with no real sense of direction or consistency. Some days I will wake up and decide that I want to travel overseas, explore the earth and grow because of my experiences. Other days I will crave a family, children of my own that I can teach and learn from. My dreams never quite align with each other, you can’t really travel the world while raising children. Renovating a house isn’t possible without a stable income, so being a full time student so I can get my degree faster won’t happen. Studying full time for 3 years will prevent me from being able to travel AND have the family I desire. You see what I mean? I try to envision myself in so many different scenarios, yet none of them truly feel like they’re “me” enough. It’s an awfully confusing situation to be in. I second guess so many life choices and wonder if I’m even on track to end up where ever I want this life to take me. My goals change daily. My bar is set a little higher as each moment passes. It’s really weird going through life wanting so much while also knowing that it’s probably more than the future will bring. I want to do so many things, yet I know that I’ll only achieve a handful because of my overlapping priorities. 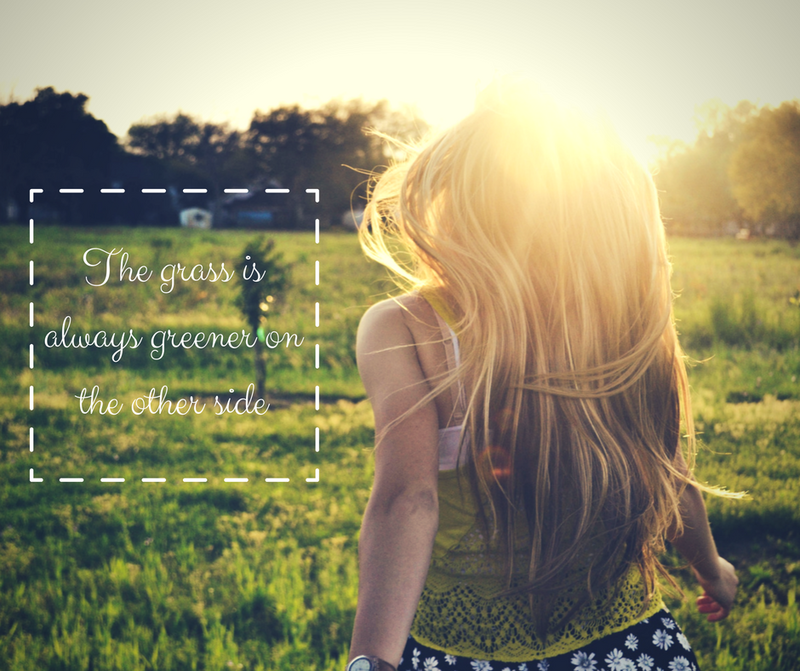 I definitely believe that the grass is greener on the other side. I want to have an amazing life but I genuinely don’t know how to make it happen when I don’t really know what I want to do. I’m not sure if my feelings are normal for my age or if I’m just a complete mess, but I do know for sure that all I want in the end is to be happy. I feel the same. It’s really difficult to decide which way to go when you’re young and you can do whatever you want. Some say the sky is the limit, but in reality you are your only limit. I’d say if you have a dream, go chase it.